We are now in our new office and it means a new route for me. 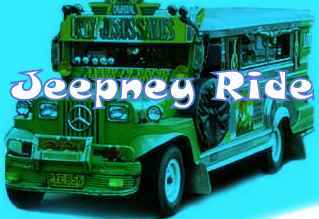 My jeepney ride was lessen by one ride in going home and the jeepney would passby in our office. I would just have to wait just below our office and I could get a ride in my way home. With this new route for me, I sometimes could not believe that I already get home. Unlike before that I have to pass by a mall before I get home. With this new route, it would be less expensive for me, less traffic, less hassle and more relax time.